I have no idea why this drink is named what it is. 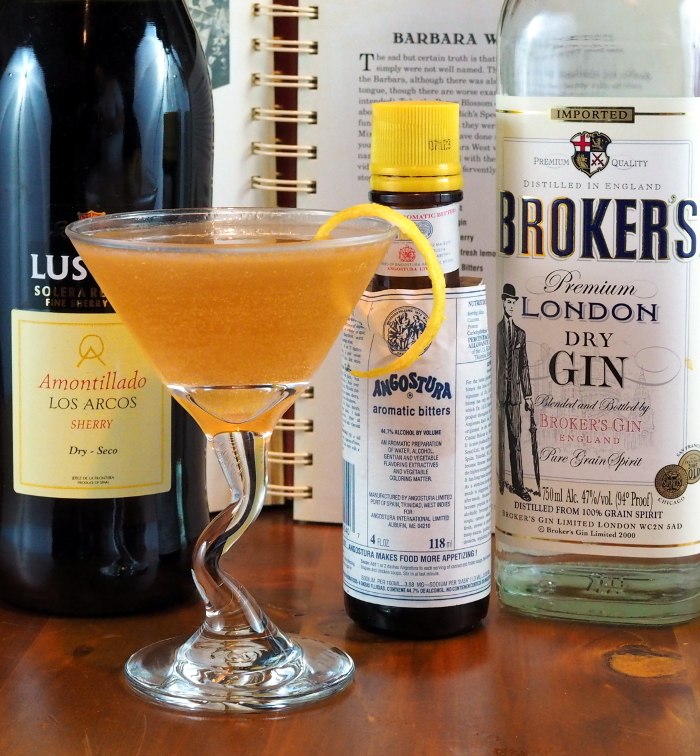 There was a famous Titanic survivor named Barbara West as well as a TV news anchor, but I think the latter Babs would be too young to have inspired a vintage cocktail. It was good, but I think I would have rather had a more traditional martini, and I’m also not much of a martini drinker. With the gin the flavor was reminiscent of that drink but the sherry adds some depth that makes it distinctive. Notes: I went with Broker’s Gin, which is one of my favorites. The recipe recommended an Amontillado sherry (which I can’t see without thinking of Edgar Allen Poe) so I used a Lustau I had on hand.